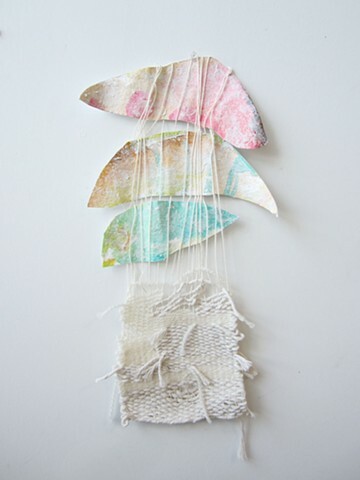 Plaster, beeswax, plastic bag, cotton rope, fishing lures. 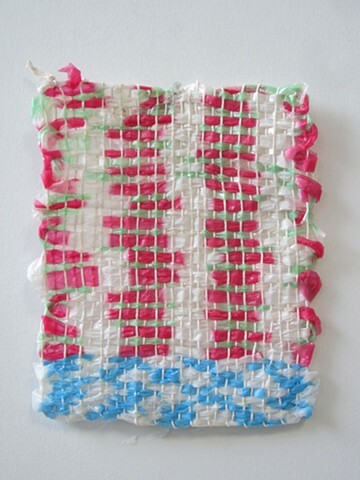 Rope, silk yarn, plastic bag yarn. 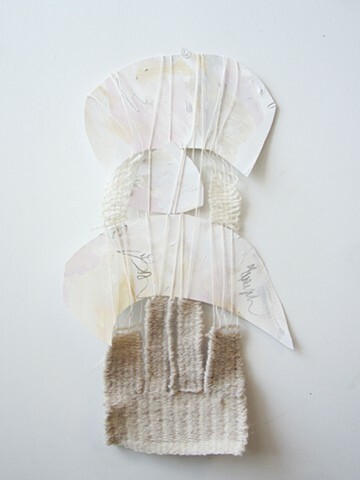 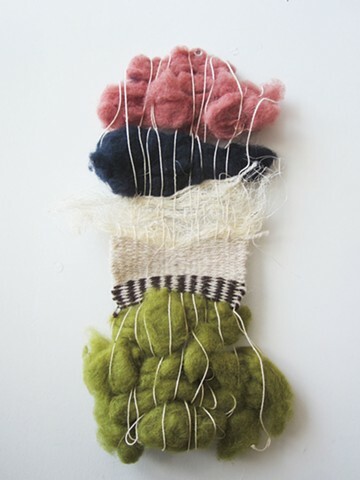 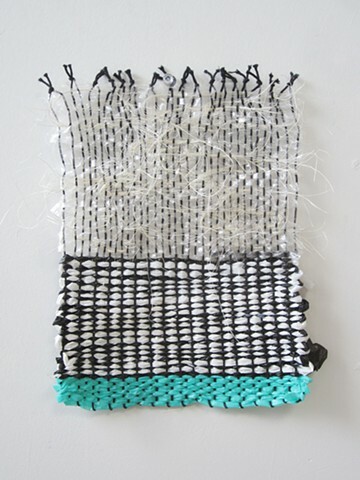 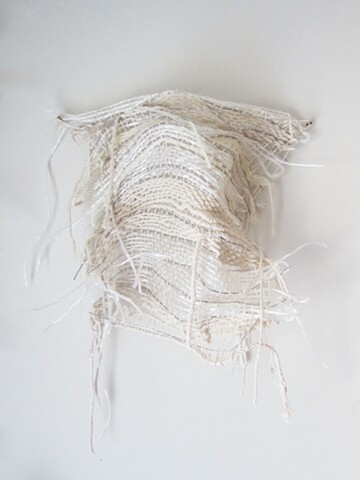 Cotton, wool, plastic bag yarn, horse hair, sisal. 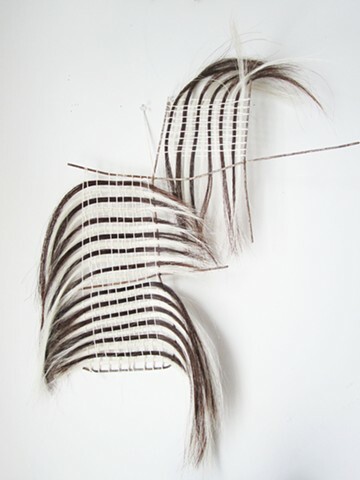 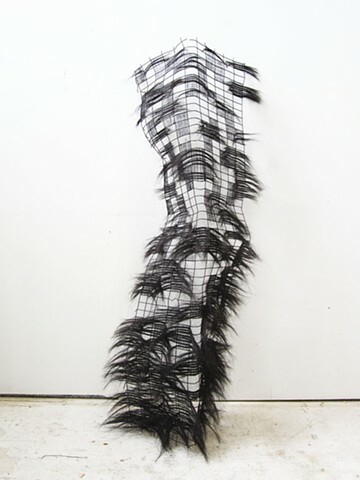 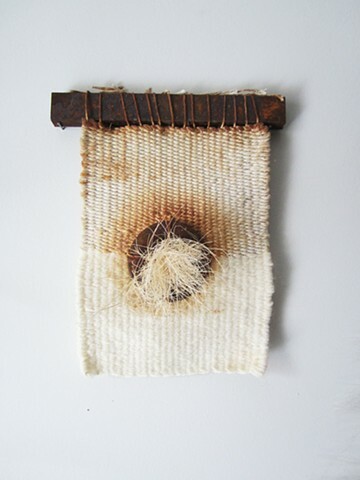 Horse hair, cotton, rusted metal. 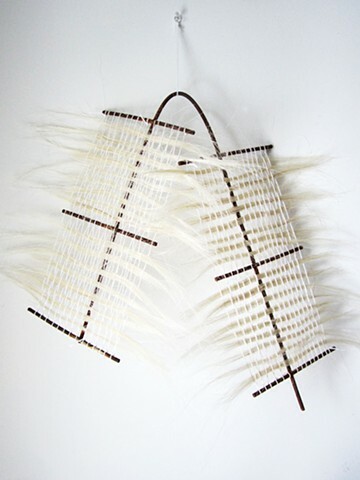 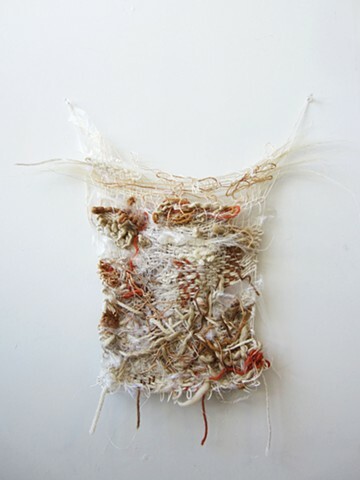 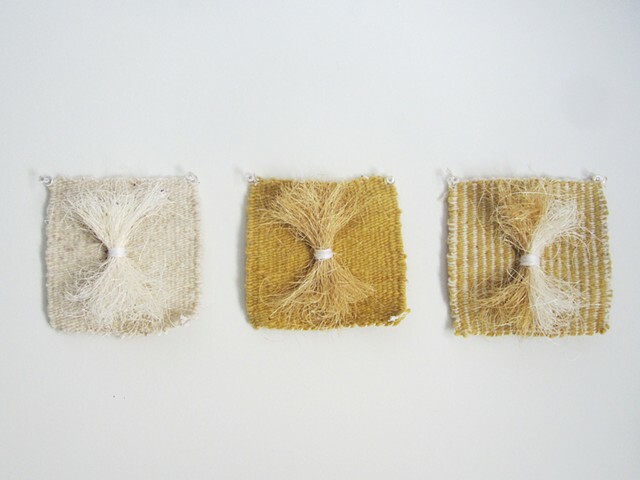 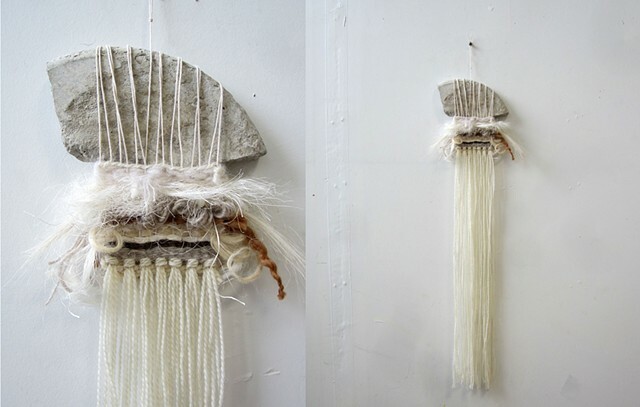 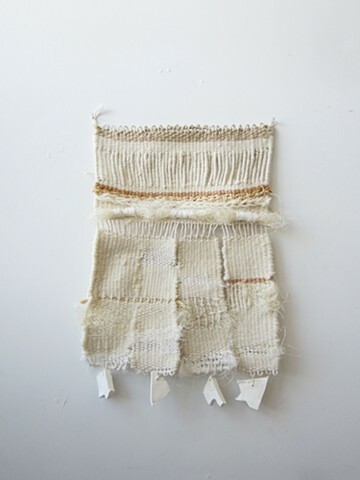 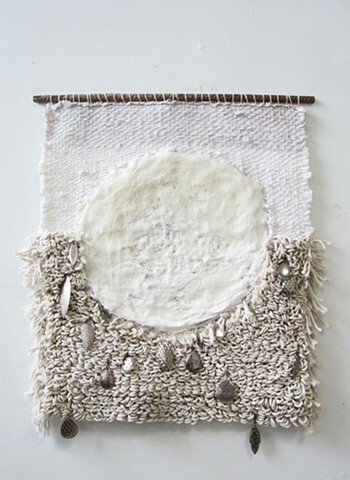 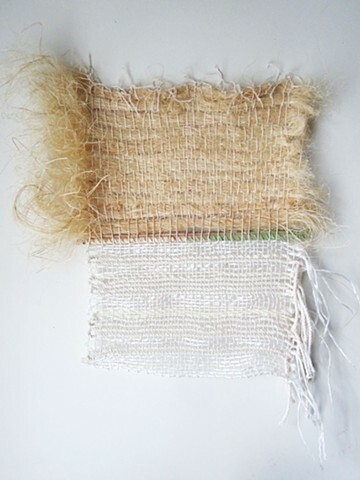 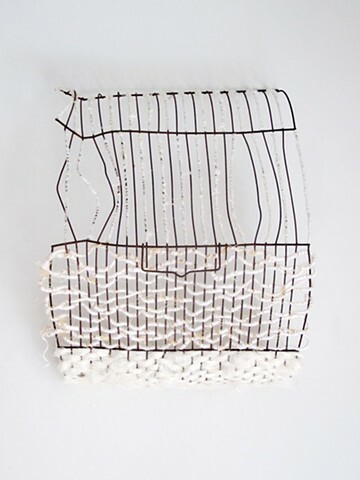 Rust, sisal fiber, silk waste, cotton and agave fiber. 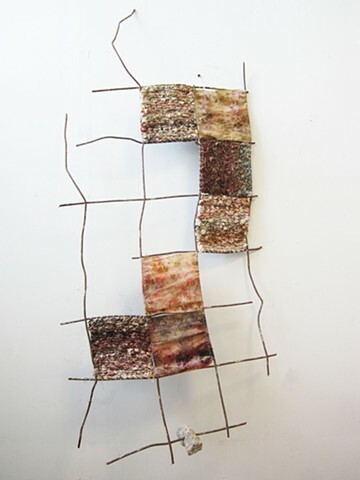 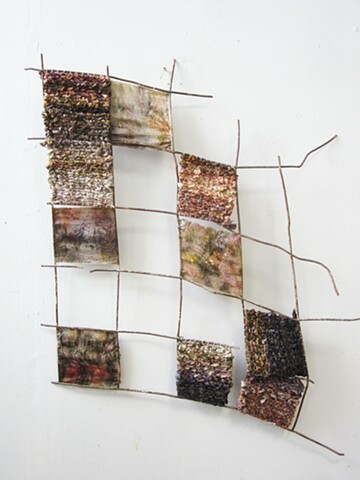 Dyed silk on rusted wire. 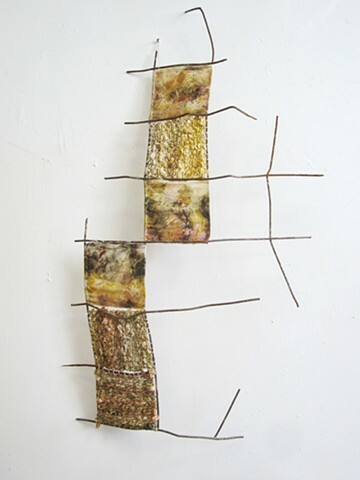 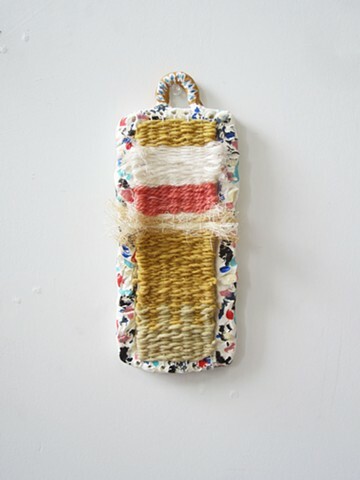 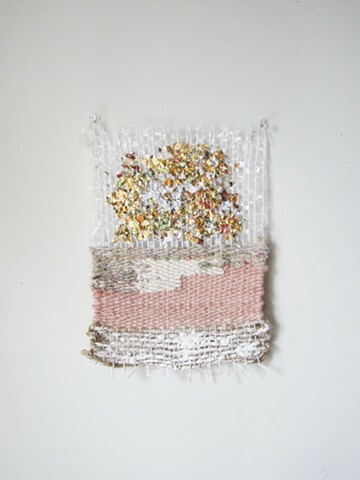 Plastic bag yarn, rope, wool, gold leaf, and acrylic paint. 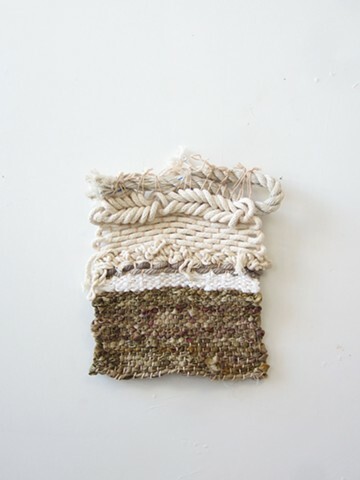 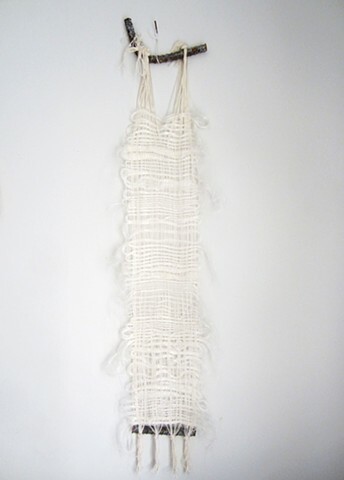 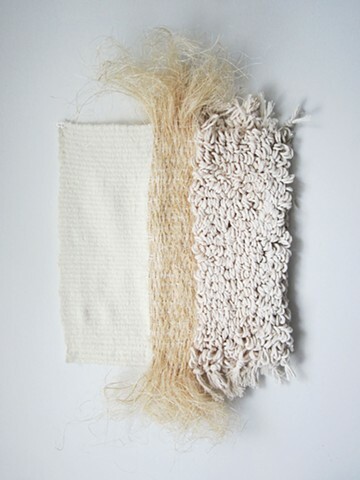 Sisal fiber, cotton twine, wool.